Wowser! What a hot weekend that was, my weather station actually hit 31.8ºC!!!! 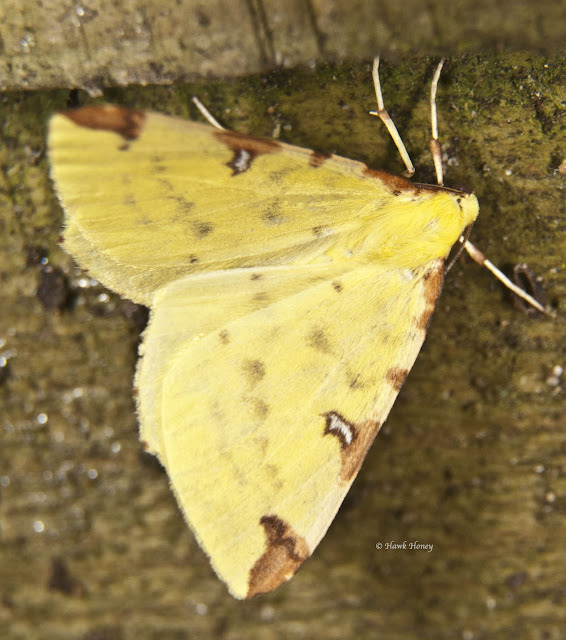 I put the moth trap out and again numbers were high, although not as high as I had hoped. I was hoping to break the 300 moths mark this weekend, but only managed a happy 265 moths of 79 species. 30 of those species were a first for me this year which meant another 30 to my score on the Garden Moth Challenge bringing me up to 10th place. Woohoo! I've made the top ten. But, I'm sure that won't last. Who knows, we'll see. even though his eyes are actually below the glasses markings. 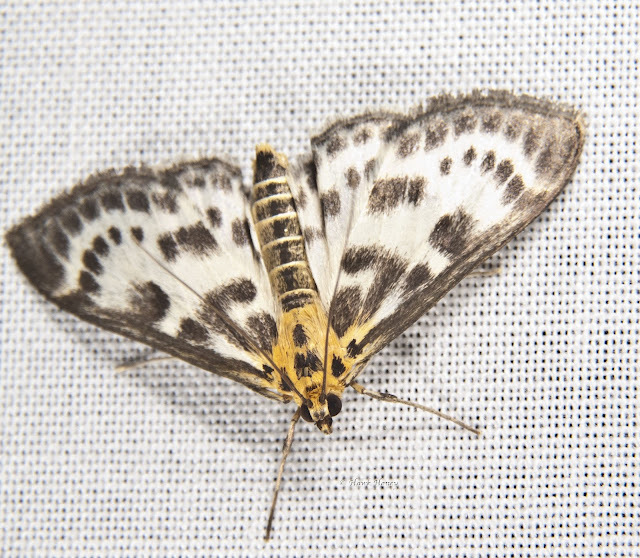 A micro-moth with no common name. It's Crambus pascuella I do believe. It's only 11mm long and it wasn't the smallest one I had! Now this is what I call a hair style. 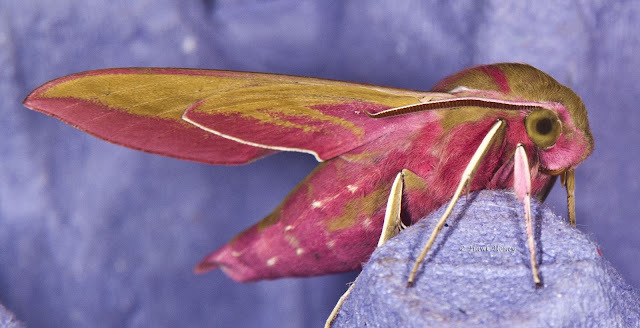 The Elephant Hawkmoth again D elpenor. 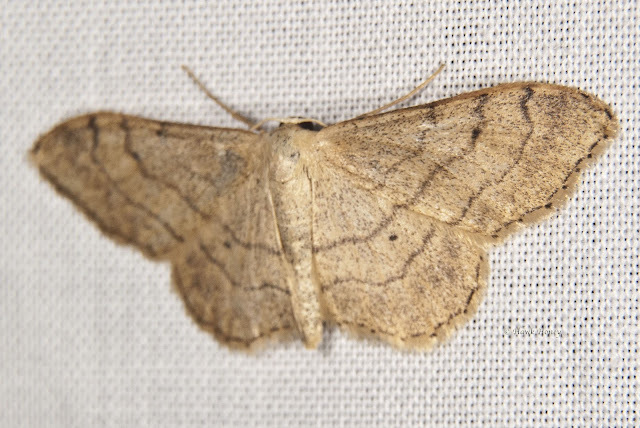 The wonderful Buff Arches Habrosyne pyritoides. One of my favourites. it was drawn with a fine fountain pen. Awesome. Last year I got these in huge numbers. I've only recorded 6 so far this year. 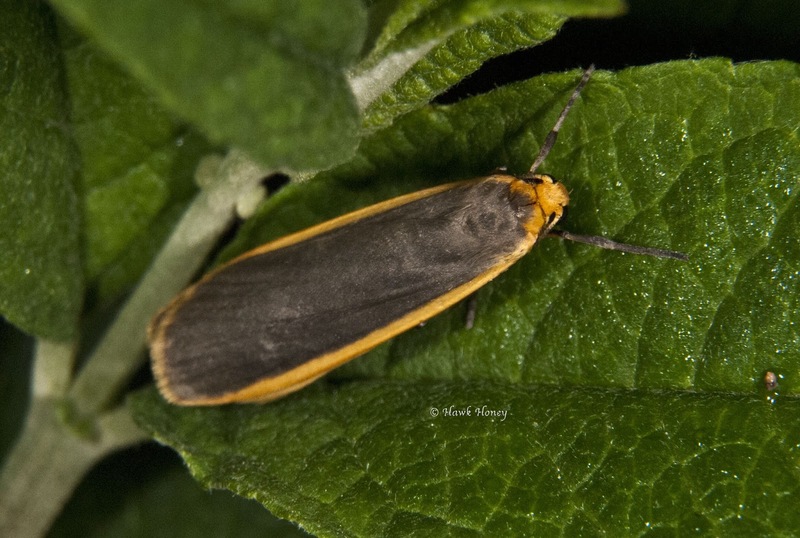 The Common Footman Eilema lurideola. A first for me and then found by my friend Kass a day later up in Bradford on her window. Wasn't even trying. 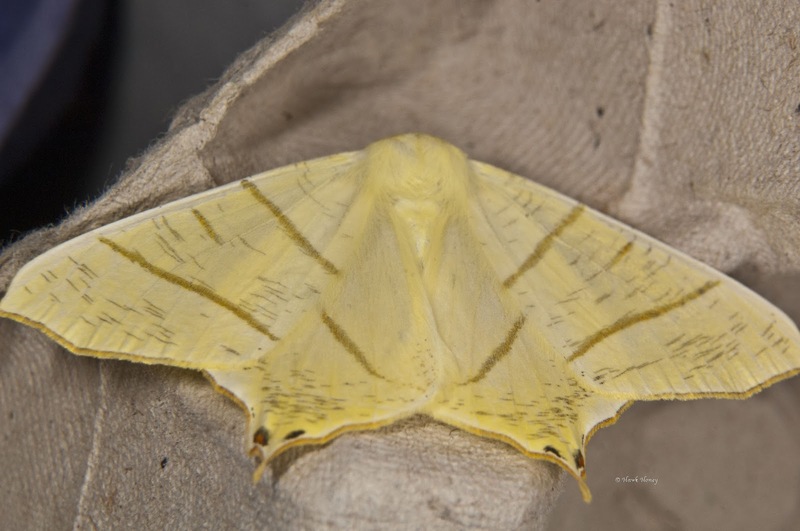 Swallow-tailed Moth Ourapteryx sambucaria. 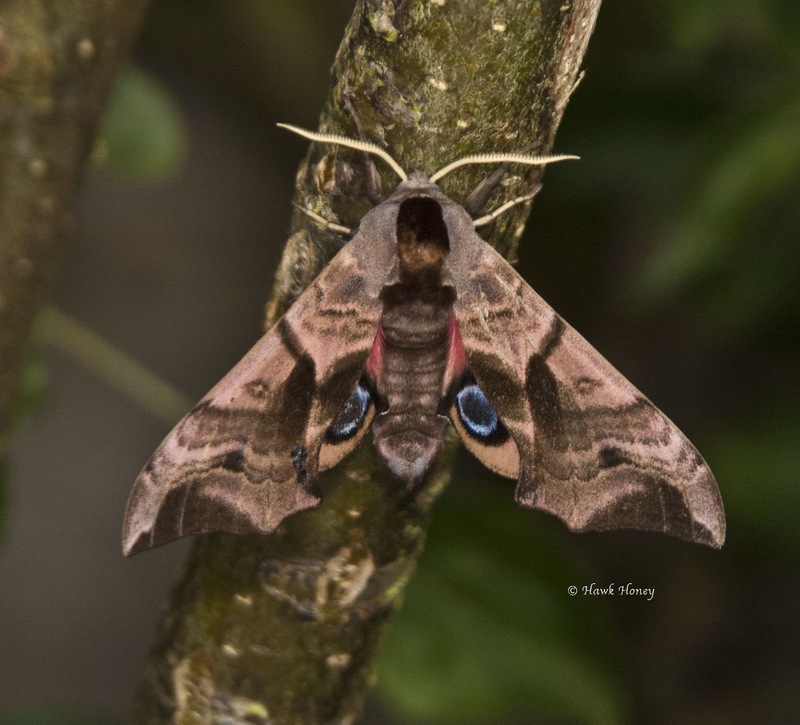 A beautiful Eyed Hawkmoth Smerinthus ocellata. 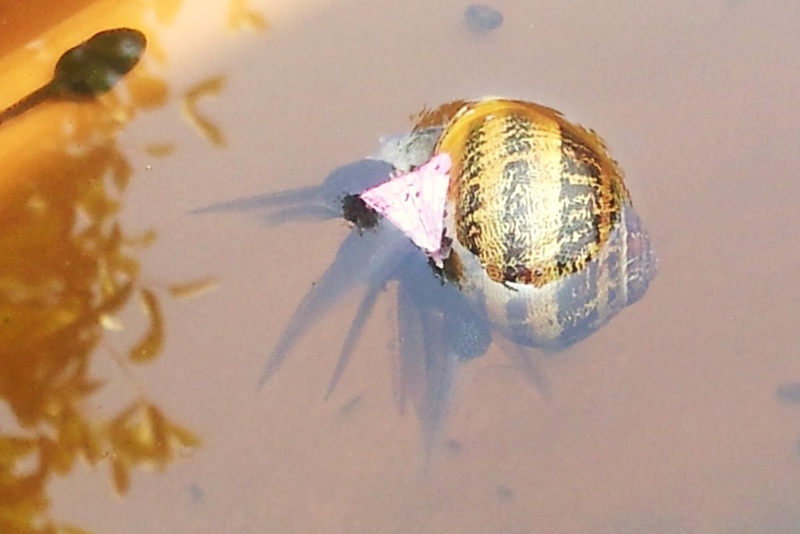 This one seemed to have a strong hint of lilac about it. 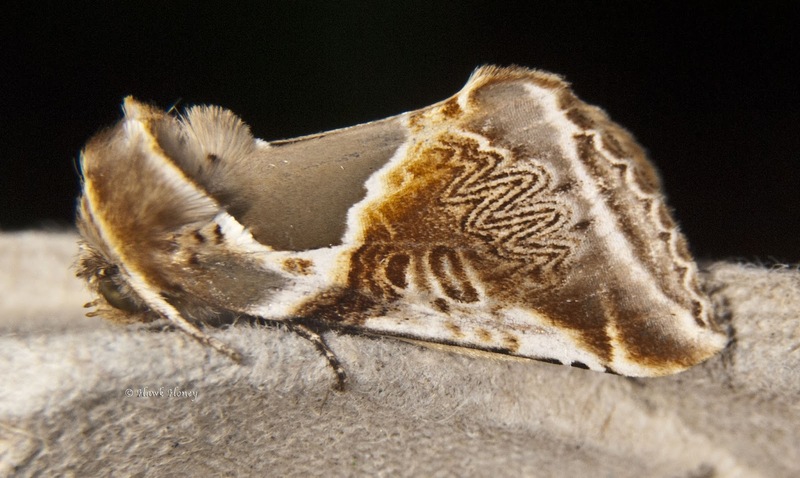 And here's the same moth with more natural surroundings than an egg tray. Trousers found it all too much and decided sleep was needed. This is of course only a small selection of the moths I trapped. Otherwise the blog could end up going on forever. Identifying them all took a good part of the Saturday up. Many of them I was able to ID on the spot and release straight away. However, things like micro moths are very hard to ID in the hand due to their size and markings. Micro moths as opposed to macro moths usually have a forewing length of less than 10mm, although there are exceptions to the rule such as the Small Magpie pictured above, which is about the size of your average moth, the macro moth. One thing I care about are the moths I catch, and as soon as I have identified them, I release them back out into the garden. I'm always careful to make sure no birdies are watching as I once remember, on a course, a moth unexpectedly flew from the trap as we were inspecting it. It flew to a nearby tree and within a second of landing, was gobbled up by a Spotted Flycatcher who had been watching from a nearby tree. First time I've ever seen on of those. Spotted Flycatcher that is. Anyway, I digress. 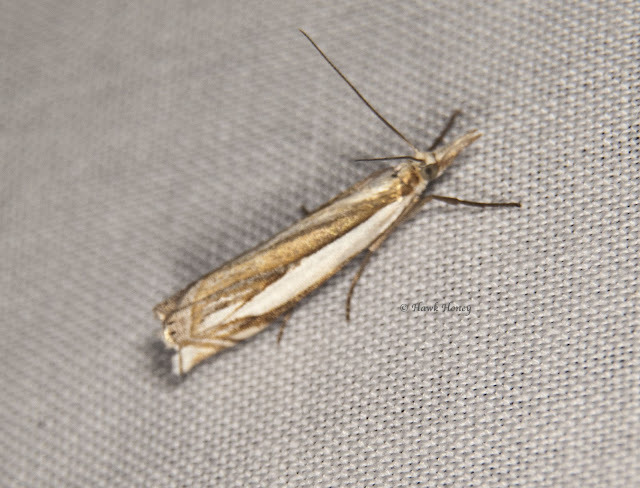 A similar thing happened to me last Saturday morning as I was releasing the last of a bunch of micro moths. I released it out of the vial it was being held in in the direction of some tall grass like plant (botany isn't my thing). 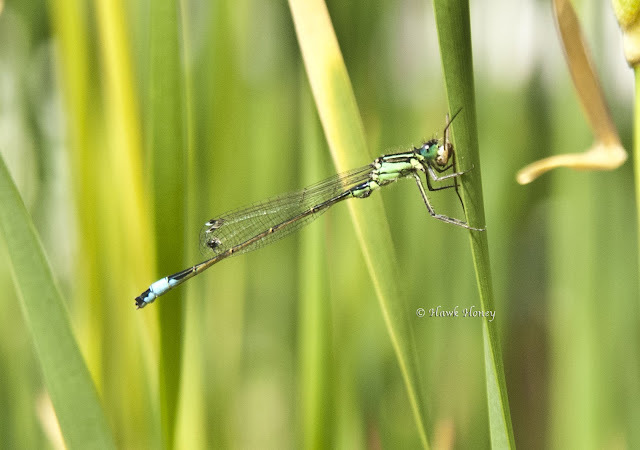 It landed on the plant, then took of again and landed on the patio, where, quick as a flash, a Blue-tailed damselfly swooped down and grabbed it by the neck and landed on a tree. I'll never forget the look of that moth as the damselfly tucked in. Moths aren't the only thing on a damselflies menu. 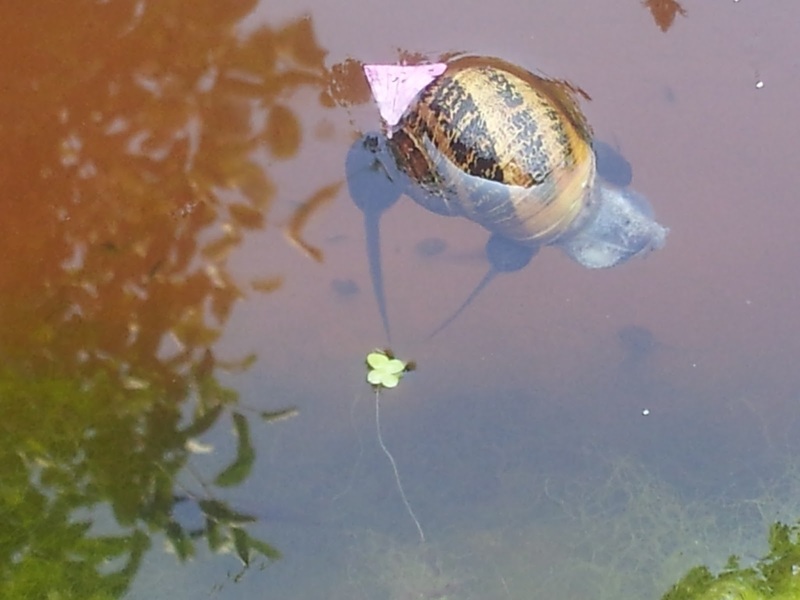 I grabbed this shot of one in the week having a spot of lunch by the pond. Nom nom n... do you mind watching me eat!!! What was he eating? 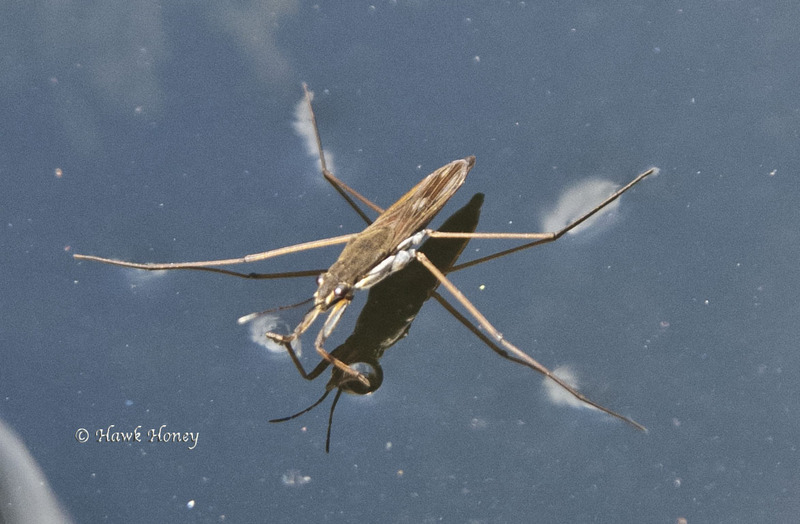 It was a pond skater, one of many that frequent my pond. Pond skater, possibly a relative! he was wearing a pink party hat! Word soon spread around the pond that there was a free lunch on offer! Need I say that all copyright for the above two images goes to Mick King and can't be reproduced without his kind permission. 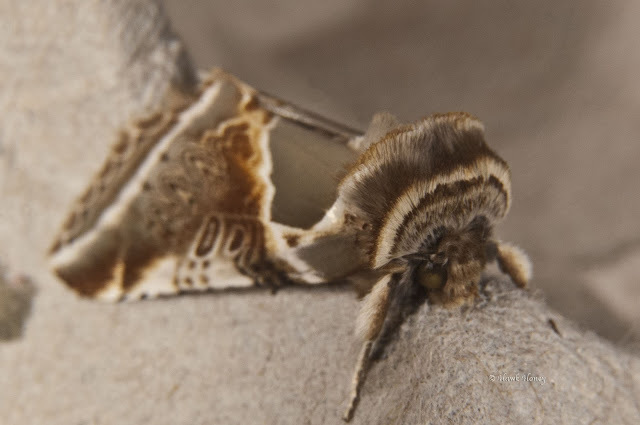 A time lapse of an emperor moth changing instar. 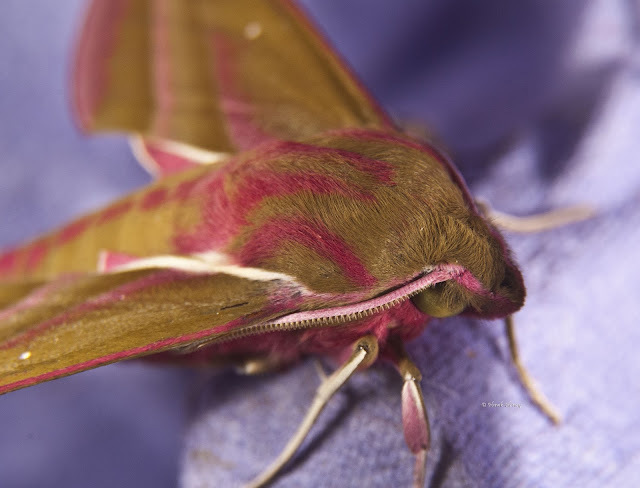 As some of you may know, a couple of weeks back a moth laid some eggs which I thought were Elephant Hawkmoth eggs. Well they hatched and they weren't taking to the recommended food plant. 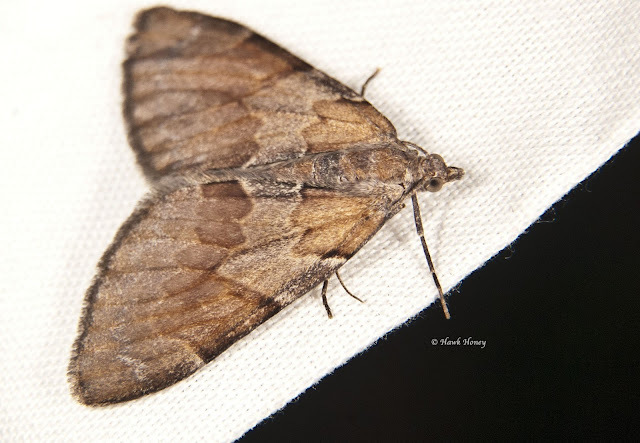 Now either they hadn't read the same book as me, or they were a different moth. 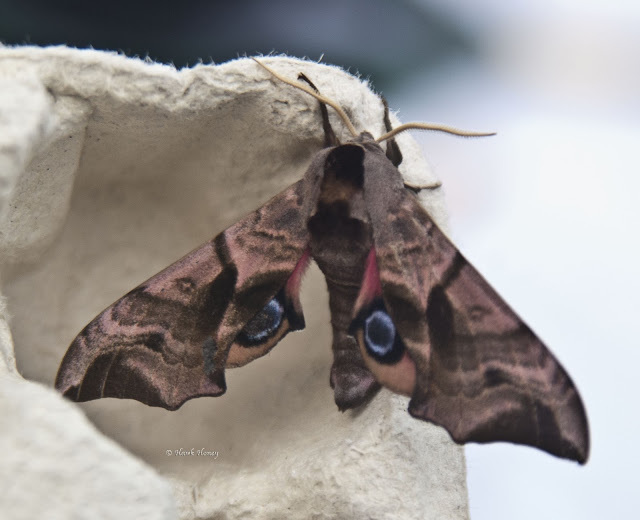 Then it hit me and I remembered that I had a Poplar Hawkmoth in the same box as the Elephant's. So a quick look up in the book and I went off in search of one of the following: Poplar trees (pretty obvious really), Goat willow or Sallow trees. Now as we've already established, I'm no botanist, so this wasn't going to be easy, but I had a rough idea what a poplar tree looks like and there was one just down the road from me, so I nabbed a few leaves. I also know there's a weeping willow in Holywells park, so I nabbed some leaves from that too. I know that weeping willow wasn't on the list, but it's part of the willow family so there may be a chance. To which I'm happy to report, they like a bit of both leaves, joy! 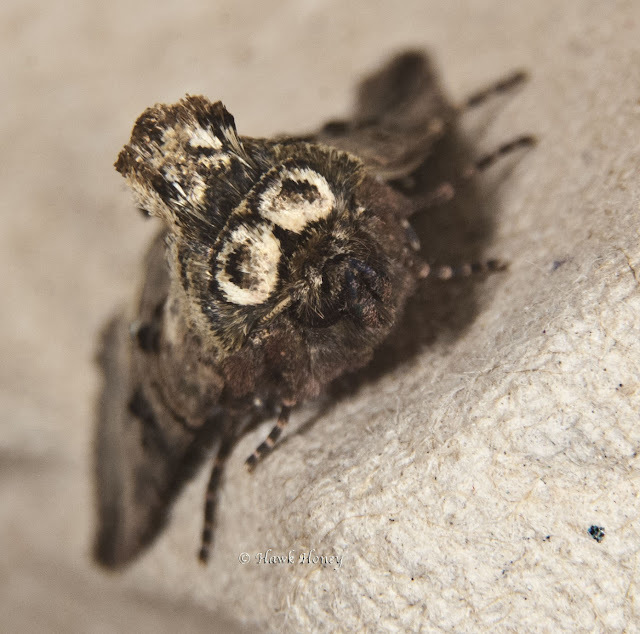 My baby Poplar Hawk moths, awwww.